The following articles and photographs were taken from F. Lotto's Fayette County, Her History and Her People, published in 1902. Leading Citizens of Fayette County (continued). The memory of John Oltmanns is cherished deservedly by the Schulenburg people. There never lived a more patriotic and public spirited man than he. Unceasingly he worked for the interests of Schulenburg, sparing neither time nor money to advance them. As a member of the city council, he improved the streets of the city and advocated a number of measures and improvements that proved of lasting benefit to the city. In social affairs he was the leading spirit, constantly arranging concerts, balls and theatrical performances that young and old might enjoy themselves. It is due to his efforts that Schulenburg has acquired the reputation of being one of the most sociable and entertaining cities of the state. John Oltmanns was also a good man. There never was a man who applied for help to him sent away without having received the solicited aid. Especially beat his warm heart for his country-men who had just immigrated. He assisted them with his advice and his purse. Of John Oltmanns it may be truthfully said that the good he has done was interred with his bones, but lives in the memory of all those he befriended. John Oltmanns was born May 17, 1852, at Hankhausen, near Rastede, Oldenburg, Germany. His parents were Eilert Gerhard and Helene Oltmanns, nee v. Esten. They owned considerable real estate. John went to school at Hankhausen, and, after his school years, learned the baker’s trade. In 1874 he established himself in the hotel business and also ran a water power mill and bakery, in all being the owner of all three establishments. On May 15, 1874, he married Miss Anna Gode, born April 15, 1851, at Holler, Wuesting, Oldenburg. He came to the United States in 1883, and in the following year his family followed him. 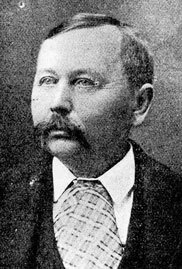 He first worked in a bakery in Galveston, then in 1884 he worked some months in the saloon of Joe Kainer at High Hill. The same year he opened a saloon in Schulenburg. He was very successful in this business, and remained there till the time of his death, October 22, 1901. His wife and four children survive him: (1) Hermine, wife of John H. Mahler, clerk in San Antonio; (2) Helene, wife of F. F. Schaefer, formerly in the saloon business at Schulenburg; (3) Martha, and (4) John, at the home of their mother. The name of the subject of this photo is well known throughout this and adjoining counties: F. Presun. In whatever business he was engaged, whatever position he has filled, he everywhere established a high record for industry, honesty and reliability. Being affable and sociable, he is well liked by a host of warm friends in all parts of the county. Mr. F. Presun was born September 19, 1851, at Lemgo, Lippe-Detmold, Germany. His parents were Franz and Pauline Presun. His father held the high office of auditor of the custom house. A sister of his is still living in Germany. Mr. Presun was educated at the gymnasium in Lemgo and received in that school a classical education. In 1871 he came to Texas and first stayed with his uncle, Wilhelm Lange, in Welcome, Austin County. In 1871 he entered the commission house of Robert Leisewitz in Brenham, a cotton receiving and forwarding business. Here he stayed for nearly four years. In 1875 we find him in the employ of a wholesale wooden and willow ware business in St. Louis. In the same year he came back to Texas and clerked in the general merchandise store of Hillman & Gans in Giddings. Here he was also assistant postmaster with G. Pauli. From Giddings he went back to Brenham and there took charge of the business of Robert Leisewitz, his former principal. He was married in October 1876 to Miss Ella Ujffy of La Grange. In 1878 he opened up a general merchandise business in Welcome, Austin County, where he remained till 1882. He then went to Houston and served in the cotton business of Ullmann, Lewis & Co. In 1883 he took the position as chief clerk in the track department of the auditor’s office of the Southern pacific Railroad in Houston, Texas. He was transferred as chief clerk in the division roadmaster’s department and left Houston for Schulenburg in charge of this office in 1884. The same year he went with his family to Germany on a visit. He returned to Schulenburg in September 1884 and opened a commission business in 1885 which he sold in 1890 to Meyer & Stanzel to take a position as bookkeeper in the business of H. Horner. After the death of his wife he moved to La Grange and was there for three years the agent of the New Orleans Brewing Association. He married Miss Ann Stuedemann of La Grange in 1895. In 1897 he established the Crown Soda Factory which he sold to the La Grange Ice and Cold Storage Company. He is now secretary and treasurer of said company and ships to Taylor, New Ulm, Columbus, Weimar and Fayetteville. His children are Henry and Arthur Presun. The former travels for the Buck’s Stove and Range Company of St. Louis in the state of Illinois; the latter works in the jewelry business of Dietrich & Krengel in La Grange. “Let us step into the County-Seat Saloon,” is a well received suggestion. No wonder. In this popular resort the best whiskies, finest liquors, cool beer and other refreshments are served by a popular barkeeper. His friends have nicknamed him “boss,” not because he bosses so much, but because he bosses so little. He much prefers to receive your order, of course, for refreshments. His politeness and the good service in his place always attract customers; people who have been there once will also call there again. The owners of this popular place at Chas. H. Schaefer & Son. The Schaefer family is counted among the oldest families of Fayette County. Mr. Schaefer’s parents, Carl Friendrich and Johanna Schaefer and with them their son Chas. H. Schaefer (born in the city of Hanover No. 9, 1839) came to La Grange, Texas, in the year 1847. His father was a teacher of languages in the city of Hanover. At that time the German governments were very oppressive; it was the time of the Holy Alliance. The more energetic who also were a highly educated class left the fatherland for the home of the brave and the free. Hard times also awaited them here. Unused to manual labor, they had to learn it to make a living. Mr. Schaefer sawed logs into planks for one month and received as compensation a cow. He bought a small farm near Cedar where also Bill and John Lewis had settled before. In 1853 he bought a farm on the Bluff in company with Mr. Carl Otto. After the death of his wife he took very little interest in life; he became very melancholy; he followed her in 1874. Messrs. Max and Julius Schwartz number amongst Schulenburg’s most successful business men. They are the well-known proprietors of the I. X. L. Livery Stable and conduct this business in a popular manner. They keep a great number of fast horses and all kinds of vehicles so that they can suit any taste and all demands made on them in their line of business. Especially drummers, as also the traveling public in general speak of the obliging and accommodating brothers in words of highest praise. In connection with their livery and feed business they also purchase and sell horses and mules. Well knowing the qualities of good animals, they purchase only first-class animals and thus are able to suit their customers to satisfaction. They also pay their closest attention to the real estate business and persons wishing to sell or buy land will do well in securing their services. Being well acquainted, on account of their long residence and their business, in this and adjoining counties, they understand the wishes of their customers and always know what place will suit them best. A visitor in Schulenburg, walking down Main Street, will be struck by the elegant appearance of a massive, substantial two-story brick building, the property of the Sengelmann brothers. It is known throughout the county as the “Two Brothers Saloon,” the most elegantly equipped saloon in the county. Upon entering he finds a large, roomy hall, the high ceiling being supported by massive, elegantly worked pillars. Bilard and pool tables and tables with the leading newspapers and the county papers invite the visitor. The Sengelmann brothers were the first who introduced this feature of holding a fine line of newspapers for the entertainment of their patrons in this county. In connection with the bar is a first class cuisine under the management of Mr. David. It may be said that so far as meeting the wishes of their patrons is concerned, the Senglemann brothers have no superiors. The line of liquors, wines and cigars which they handle corresponds with the other metropolitan equipment of their bar. Upstairs is a first class hall which serves for public balls, meetings, entertainments and theatrical performances. It has an elegant hard polished floor and measures in dimensions fifty by eighty-five feet. Both gentlemen are natives of Holstein, Germany. The elder, Mr. Charles Sengelmann, came to this country with his brother, August, in 1871, when he was sixteen years of age. They first located in Columbus, Texas, and in 1877 they moved to Schulenburg. In 1885 their brother, Gustav Sengelmann, also a native of Holstein, Germany, came to this country and two years later in 1887 purchased the interest of his brother August who returned to Germany and established himself in that country in the saloon business at Garden-by-Kiel. The memory of good men is not interred with their bones, but lives after them. The friends of John Speckels cherish his memory and love to recall his sterling merits. His life was a success; under the most unfavorable circumstances, he grappled with life’s difficulties and came out ahead. In his old age he could with pride look back on the early struggles of his youth and enjoy their well earned fruits. At the time of his death, he left his children all well provided and in prosperous circumstances. 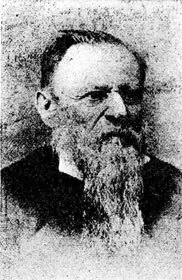 John Speckels was born in 1817 in Germany and married in that country to Miss Marguerite Imken. In 1847 they came to the United States and settled at Frelsburg, Colorado County, Texas, where they remained for one year. In 1849 they came to this county and settled on a farm near the present Warrenton where they followed agricultural pursuits till 1891. Their finances were at a low ebb when they came to this county, and for some time, until they could open up land and build a log house, they lived in a tent. Mr. Speckels made his own household furniture in those days. The family experienced a great many hardships and was wholly without flour during the first year. They finally got a start, and Mr. Speckels became a prominent stockman of his section, owning large herds of cattle, sheep and horses. He had managed to buy two or three negroes previous to the war, and although he was too old for service, his oldest son Gerhard served throughout the war. Mr. Speckels was successful in his farming pursuits and at one time, owned 950 acres of rich prairie land. In 1891 he and his wife moved to La Grange, where they purchased a fine residence. He died in 1894 at the age of seventy-seven. His wife is still living at La Grange, over eighty years of age. Mr. and Mrs. John Speckels were the parents of eleven children: five sons and six daughters, three of whom died young. The names of their children are: 1) Gerhard, 2) John C. of Warrenton, Texas, 3) George, in the saloon business at La Grange, Texas, 4) Johanna, wife of Mr. A. Heintze, Jr. a merchant in La Grange, 5) Meta, wife of Louis Walter, saddler in La Grange, 6) Mary, wife of William Neese, a farmer in Walhalla, Texas, 7) Anna (deceased), wife of R. Aschen, Jr. now of Coupland, Williamson County, and 8) Henry W.
Henry W. Speckels, the youngest son, was born in 1864. He was educated in the country schools of Fayette County, and, when eighteen years of age, started out for himself, although during a portion of each year, he stayed with his parents. He followed clerking and bookkeeping till 1887, when he came to L Grange and accepted the management of Mr. Heintze’s business which consisted of dry goods and groceries. Mr. Heintze was also a large cotton buyer or cotton broker, and of this deparment Mr. Speckels was general manager. In 1891 Mr. Heintze sold his business to Speckels & Shaw, and Mr. H.W. Speckels assumed the management of their immense business. In 1893 he was elected mayor of La Grange, In 1894 he was elected by the ice and soda water manufacturers as manager of their business, and as such he also handled the well know W. J. Lemp’s beer. 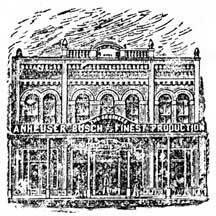 He continued as manager of the La Grange Ice & Beer Company till the fall of 1899, when he established a grocery business with Mr. F. G. Heim under the firm name of Speckels & Heim. The same has become the leading grocery business of La Grange. Mr. W.H.Speckels was married to Miss Alma Meerscheidt of La Grange, daughter of Arthur and Lena Meerscheidt, nee von Rosenberg. This union was blessed with two children, Lillian and Gilbert. His wife died in 1896. In 1898 Mr. Speckels married Miss Mary karges, the daughter of one of the oldest settlers in La Grange, Their only child is named Irwin. The life of the subject of this sketch furnishes an example of what a man of industry, perseverance and economy can accomplish in this country. Mr. G. E. Speckels has followed the rule that a dollar saved is a dollar made. Nevertheless, he was never so economical as to deprive himself or his family of the comforts of life. He started with small means, worked hard and saved his money, every dollar of which was honestly earned. Now, in his old age, he can look back with satisfaction on the struggles of his early manhood, having provided against the contingencies of old age. Mr. G. E. Speckels is the eldest son of Mr. and Mrs. John Speckels, Sr., whose biography the reader just has perused in the preceding pages. 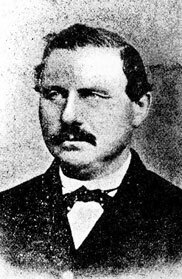 He was born January 8, 1843, in Oldenburg, Germany, and came to this country with his parents when he was four years old. He received his education in the public schools of the Warrenton neighborhood. In 1861 he enlisted for the Civil War in Captain Alexander's company, Ostwald Battalion. The company had enlisted for six months; they were two months on board a man of war near Galveston; the other four months they were stationed at San Jacinto where they were discharged. Mr G. E. Speckels next enlisted for three years in Captain Led better's company of infantry which belonged to Waul's legion. They were stationed at Brenham. They received orders to march to Kansas; after having marched about one hundred miles, they were recalled to Mississippi. The route was by way of Shreveport and across Red River. In Louisiana they struck a railroad which for a distance of three hundred miles carried them into Mississippi. It took them three days to make the three hundred miles by rail, as the engine had much difficulty in overcoming the hills. They arrived one day too late for the battle of Holly Springs whereto they had been ordered as reinforcements. The enemy drove them from place to place. Sometimes they had a small engagement. They were constantly marching, sometimes for two or three days without anything to eat. Finally the enemy drove them into Vicksburg where, with twelve days' rations, they stood a siege of forty-eight days. On July 4, 1863, Vicksburg was surrendered. On July 12, the Confederate troops were marched out of Vicksburg into camp. From here Mr. G. E. Speckels left for home without money and without provisions and reached home sick on August 6. 1863. After the lapse of three months, he was mustered into Captain Wickland's company, Waul's Legion, Captain Ledbetters company having been almost completely annihilated. Here he served one year. After having served the three years for which he enlisted, he got one month's leave. Early in 1865 he went to Mexico, wherefrom he returned on August 7. In 1866 he made a crop on his father's farm. That year he received for his cotton thirty cents per pound in Galveston. After the war he was married in 1867 to Miss Maria Frels of Warrenton, Texas. He followed the pursuits of a farmer and carpenter, and by industry and economy he succeeded in acquiring a nice fortune. Mr. and Mrs. G. E. Speckels are the parents of the following children: (1) Anna, wife of Mr. E. A. Froehlich, in business at Shiner. Texas; (2) Lucy, wife of Henry Letzerich. saloon and groceries at La Grange; (3) Emma, wife of Fritz Wessels in the saloon business at La Grange; (4) Laura, wife of Charles Amberg, in the mercantile business at La Grange; (5) Rudolph, farmer at Rutersville, and (6) Edwin, clerk in La Grange. Hon. 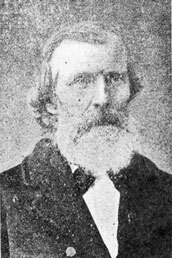 J. C. Speckels is known to the people of Fayette County as a successful farmer, a successful business man and a successful politician. He is a prominent republican leader who ranks high in the counsels of his party and whose opinion carries with the republican leaders the weight of a successful campaigner. For ten years, from 1830 to 1890, he served the county as commissioner of his precinct. Though the county generally goes democratic, in 1894 he was elected as a republican member to the Twenty-Fourth Legislature by an overwhelming majority. Here, as before, he served his constituency faithfully and distinguished himself by his conservative views on the measures before the house. Hon. J. C. Speckels is the second child of John and Marguerite Speckels, whose biography the reader has just perused in the preceding pages. J. C. was born September 20. 1847, in Oldenburg, Germany, and came with his parents to this country when he was only ten days old. He went to private schools near Warrenton, Waldeck and Frelsburg. For some time (until 23 years old) he worked on his father's farm. During the Civil War, at the age of fifteen years, he was a government teamster, hauling cotton to Mexico, serving as a substitute for his father. February 9, 1871, he was married to Miss Pauline Aschen of Waldeck and established himself as a farmer near Warrenton. From 1880 to 1890 he served as commissioner of his precinct, the repeated verdict of the people in electing him showing but their approval of his views on public questions. In 1891 be established a mercantile business at La Grange in partnership with Mr. W. L. Shaw under the firm name of Speckels & Shaw, he being the senior member of the firm. The firm did an immense business till 1895, when he sold it to Heilig & Co. 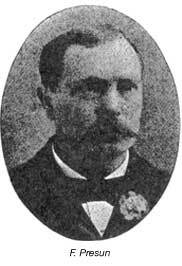 In 1894 he was elected on the republican ticket as representative from Fayette County to the Twenty-Fourth Legislature. Hon. J. C. Speckels and wife are the parents of eight children: (1) Clara, wife of Joe Weikel, now farmer near Edna, Jackson County, Texas; (2) Johanna, wife of Dr. T. J. Carter, WaIhalla; (8) Albert, farmer near Giddings, Lee County; married Miss Antonia Matajowski ; (4) Otto, at home; (5) John, at home; (6) Alwin, attending the Blinn Memorial College at Brenham ; (7) Gustav, attending the Blinn Memorial College at Brenham, and (8) Atlan, at home. Hon. J. C. Speckels resides at his old home near Warrenton. Joseph George Wagner was born February 12, 1821, in the county of Glatz, Silesia. He was educated in the public schools and then learned the trade of shoemaker. On January 8, 1819, he was married to Miss Maria Pochales at Breslau, where he established himself as shoemaker. He left the old fatherland for the home of the free and the brave in 1853. His wife end family, i. e. his wife and two children who were born in the old country, Oscar and Pauline, now the wife of Mr. Christian Guggolz, a farmer near Gatesville, Coryell County, came with him. They landed at Galveston, and in November, 1853, they came to La Grange. ln the following year they went to Roundtop where Mr. Wagner established himself in his trade of shoemaker. He followed this pursuit until the year 1859, when he bought a part of the Nassau farm. From that time he followed the occupation of farming, acquiring by industry and economy a nice fortune. In 1882 he bought in addition to his Nassau farm the Lewis farm. In 1899 he was fortunate enough to celebrate his golden wedding. The same was a reunion of all his children and grandchildren. A few months later he died. His wife survives him and still lives on the old homestead. He left all his children in good circumstances. Besides the two born in the old country mentioned before, there are: (I) George, farmer on Nassau farm; (2) Wilhelm, mechanic on the lnternational & Great Northern; (3) Mathilde, wife of Geo. Krengel, jeweler in La Grange; (4) Paul. farmer at Shelby, Austin County, Texas; (5) Charles, druggist in Carmine; (6) Anna, wife of Turk Brown, farmer and stock raiser near Gatesville, Coryell County; and (7) Joseph, farmer on the Lewis farm, near Roundtop. Mr. and Mrs. Robert Wolters, Sr.
Robert Wolters is one of the few men whose fortune it was to witness the development of an infant struggling republic into a great state, the coming empire state of the Union. He has lived under the flag of the Republic of Texas, under the Union flag when Texas became one of the states, under the Confederate flag and again under the Union flag. Just pause and think of the different phases of development. Texas, an infant republic, in dire distress, the country harrassed by marauding Indians when he was a youth, and Texas grown to full manhood, the wonder of the world as to the possibilities of future development. If he looks back to his own life, he finds an analogy there. Robert Wolters, the struggling boy and Robert Wolters, the old man, one of the capitalists and most respected men of the county. Mr. Robert Wolters was born September 20, 1820, in Elberfeld, Prussia, and came with his father, Jacob Wolters, his mother and three sisters to the United States in 1834. His father had left the old country on account of his political convictions. The family landed in New York and after a short time went to Philadelphia where his father established a bakery. But the Yankees of those times did not put on as much style as their descendants, they generally baked their own bread, and under these circumstances, his father found it a hard task to provide for his family, much less to make any headway. Therefore the family went to New Orleans in this spring of 1885 and in May of that year they came to Texas and landed at Velasco. There they took a little steamboat which carried them up the Brazos River to Brazoria. From the latter place they traveled in ox wagons to where now Frelsburg stands and settled on the Piper league. They built the first log house in the Frelsburg neighborhood in the fall of 1835, but before the house was ready, his mother died under a tree in July 1835. There were very few settlers at that time in the country. The comforts were very primitive. His father acquired a skill in manufacturing rawhide chairs for which there soon was a great demand. He brought and sold them as far as to the Cole settlement in Washington County. One time, on his return trip from Cole settlement, a band of hostile Indians camped near Postoak Point between him and his home. To wait in a safe place, until they had withdrawn was a great inconvenience, to pass by there a still greater risk. His father chose the risk to pass by, passed them in the middle of the night and young Robert had to walk along with a piece of bacon skin and every once in a while grease the axles of the ox wagon to keep them from squeaking. They reached their home safely without having encountered the Indians. His father married again in 1838 and then moved to the Mill Creek near Industry. Robert and his brother August remained on their father's farm near Frelsburg, until his father had sold the same. After this, young Robert worked for some years on the farm, until he had money enough to buy a team and then he traveled for three or four years as a teamster. December 25, 1849, he married Miss Adolphina Wellhausen of Cat Spring, Texas. He bought 400 acres of the Pettus league in Austin County and farmed there till 1858 with his brother. In that year he moved to Cypress, Blanco County, a county still harrassed by Indians In 1865 he bought a farm two miles east of High Hill, Fayette County, and moved to his place in the same year. In the fall of 1866 he established a store in High Hill and in 1872, when the Southern Pacific came to Fayette County, he moved to Schulenburg where he still resides. Mr. Wolters is now eighty-two years old, still of good health, and a fine example of the vigor of the northern German. He has a number of children, a great many grandchildren and great-grandchildren, and a great host of warm friends who all wish him a continuance of his good health and prosperity. On Christmas day 1899 Mr. and Mrs. Wolters celebrated their golden wedding, which festive occasion was a grand reunion of their children, grandchildren, and great-grandchildren. 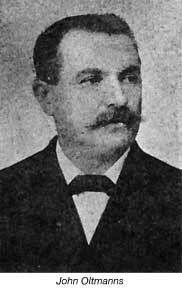 His parents were Jacob and Louise (Maybrink) Wolters. His father was the manager of a large bakery at Dusseldorf, Germany, successful in business, but being of independent disposition, his political convictions did not agree with those of the government. He could not stand the oppression of the government which has especially oppressive in those days, and immigrated to the United States a country more in harmony with his convictions (1834). He first settled near Industry, Austin County, in 1853. In 1838 he married Miss Louise Maybrink of Houston, Texas. His wife died in Industry in 1862; he followed her in death in 1865. 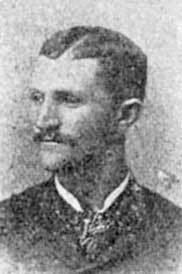 Their son, Theodore Wolters, was born near Industry, Austin County, Texas April 15, 1846. He went to private schools such as they were at that time. When the Civil War broke out, he went, only seventeen years of age, as a private into the Confederate Army and entered Creuzbauer’s company of light artillery. After the close of the war, he clerked one year for his brother, Robert Wolters, Sr. in High Hill (1867). In the following year he went to New Ulm and learned the wagon maker’s trade. On January 7, 1871, he married Margaret Wink of New Ulm. He farmed there until 1879. In that year he went to Moulton, Lavaca County, and the year after he came to Schlenburg and engaged in the saloon business. On April 1, 1902, he bought the cotton plantation in Schlenburg and he is now public weigher of that place. His children have all had great success in life. They are: (1) Hon. J.F. Wolters a leading lawyer of La Grange; (2) Eduard, clerk in the law office of Wolters, Lane & Lenert; (3) Mrs. Ottilie Baumgarten, wife of Mr. Chris. Baumgarten, Jr., bookkeeper of Baumgarten Bros. at Schulenburg. (4) Miss Katie Wolters, in the millinery business at Schulenburg, and (5) Wallace, at home. Mr. Theo. Wolters is a public spirited man and takes a great interest in public affairs. He was elected alderman of Schulenburg, and his services in that office met with the general approval of the people. 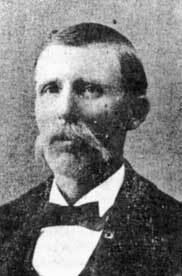 In 1889 he was elected Mayor of Schulenburg, which office he has held ever since except in the year 1896. As Mayor of Schulenburg, he has been progressive; the attractiveness of the city and her commercial influence are largely due to his untiring efforts. He is a staunch true democrat, always found in the front ranks of that party where the fight is hardest. He is proud of never having scratched a democratic ticket in his life, even if the party nominees were not personally agreeable to him. The writer gives here to the reader a biographical sketch of one of the oldest living settlers of Fayette County. Mr. Hugo Zapp, Sr. is one of the sturdy German settlers who through all kinds of hardships and reverses, by business talent, industry and economy achieved success. In his ripe old age he may look back now on a usefully spent life, on a life of toil and danger. He has the satisfaction of seeing his children well provided and in good circumstances. The following talk on his life, written down by his son, H.W.H. Zapp, is here given in full as the same tells very interestingly of some incidents of his life which are characteristic of the early times of Texas. My parents, John Hy. 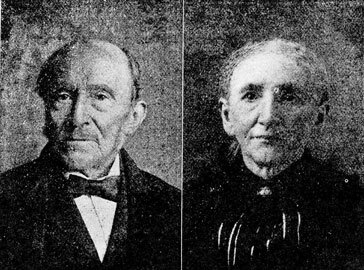 Zapp and Elizabeth Zapp, n’ee Besenbruch, lived in Elberfeld during their lifetime. My father was in the mercantile business. I was born September 6, 1822, in Elberfeld, Germany, raised and educated there as a merchant. In my twenty-fifth year I emigrated with my brother Hermann to this country, landing in New Orleans, La., in December, 1847. I had several good positions offered to me there, also in St. Louis, Mo., but I declined them. From New Orleans I went to Galveston and further on to Industry, Texas, where I bought me a small farm between the town of Industry and the banks of Mill Creek. In the banks of the same there was a lovely, very strong, cold and clear spring of water, gushing through the rocks. Underneath them I made a fine bath basin and there I enjoyed many a cool bath the first year in our warm climate. I chose farming as my occupation to make a living, as I wanted to lead an independent and free life when I adopted this country as my future home. My nearest neighbors lived only a few hundred yards distant; they were Jacob Wolters, Herr von Wedel and Mr. Ernst, Sr. Here I had my first experience in farming; the first time in my recollection that I ever touched a plow or hoe or even saw one. My good readers can therefore well imagine how well I succeeded with my new vocation, but as I was determined, I soon learned. In 1849 my brother Hermann started with a party for California where he remained a couple of years and then returned to Elberfeld, where he now resides. In 1850 I bought a tract of timber land, about four miles west of Fayetteville, near Clear Creek, which I began to improve with the aid of some good friends and, by years of hard toil, I got a nice field. In the first year I built a genuine Texas house thereon- perhaps some of your readers will hardly know what a genuine Texas house is; hence I will explain: It is a log house, covered with split shingles without the use of a single nail; as the latter were a scarce article in Texas in old times, the citizens were forced to make inventions. I lived there a couple of years a bachelor and many an interesting episode as well as hardship I went through during this period. In 1853 I married near Roundtop, my wife, Caroline Bode and spent the happiest part of my life right on this little farm; always raised enough cotton to make a good living and plenty of corn so that I could raise good stock of which I had at all times an abundance. After some years when my children began to grow up, I concluded to get near a town so as to give them schooling. I chose Fayetteville whereto I moved in 1865, and there I have lived ever since. Began merchandising which I followed up to 1890, with success, although my means for the first years were very limited. I have never run for an office, neither have I ever taken such stock into politics in this my adopted country. I was not admitted as a soldier in the Civil War on account of my poor eyesight, I being nearsighted. In the fall of 1864 a band of robbers attacked me at my house at night for money; as I had none, they attempted to hang me; I had already the rope around my neck, sprang behind the tree and ran for dear life, they firing six or eight shots after me, when I fell over a log and they supposing that they killed me, ran, jumped on their horses and escaped. This was the third time I had a narrow escape for life. We raised a family of nine children, six daughters and three sons. My eldest daughter, Mary born June 11, 1854, married H.J. Meitzen, a school teacher who lives three miles west of here; (2) my son, H.W. H. Zapp, born May 7, 1857, merchant here in Fayetteville; (3) my son, C.T. Zapp, born Aug. 17, 1859, a speculator and investor at Zapp P. O. Texas; (4) my daughter Caroline, born August 3, 1857 , married Ad Zoll, merchandising here; (5) my son, H.C. Zapp born Aug. 17, 1862, merchandising at Ben Arnold, Milam County, Texas; (6) my daughter Mathilde, born April 4, 1864, married E. T. Pagel, merchandising here with my son, H. W. Zapp; (7) my daughter, Julia born February 11, 1865, married Rud. Franke, a bookkeeper at Houston, Texas; (8) my daughter, Ida born August 25, 1871, married Dr. H. E. Gaedcke of Fayetteville. Died October 25, 1900, leaving four little children. In 1897 my eyes began bothering and paining me very much and grew worse from time to time, until in 1900 I went totally blind. The only comfort and company was my dear wife up to the 18th day of March 1902, when it pleased our Father above to also take her, my last support, from me and leave me alone with my good children who try to do for me all they can. The name of Robert Zapp, whenever mentioned, is forever linked with the steadfastness of purpose, unimpeachable honesty and the highest order of moral courage. He was firm in his convictions. No matter what the clamor of excited citizens, no matter what their threats, no matter what might be the consequences of resisting an unreasoning mob, he could not be moved a step from the line of conduct his conscience and ripe judgement had dictated to him. There never was a foreigner who on account of these virtues was more respected by his American fellow citizens than Robert Zapp. He was a power for good, a man who set a shining example by his conduct for posterity to walk the line of right. Robert Zapp was born at Elberfeld, Germany in 1818. In that country he received a splendid education, and after learning the trade of engraver, he established himself in business. On account of his revolutionary views, in which he advocated a republican form of government, he came into conflict with the ruling powers. He left Germany in 1847 and arrived that year in Texas. The United States were then in a state of war with Mexico. He served several months as a government teamster, but became sick of fever and was sent to the New Orleans hospital. After his dismissal from the hospital he returned to Texas. Here he made the acquaintance of Miss Johanna Hubertina Huepgens (born June 14, 1826 at Eupen, Germany, ) and was married to that lady in the same year (1847) at Liverpool, near Galveston. In 1848 he moved to La Grange. Here he worked for about seven years as a carpenter. He then established a mercantile business at La Grange in 1855. It burned up on the night of Buchanan’s election. He was then a democrat. When his friends expressed their sympathy to him about his loss, he answered cooly: “Nevermind. This was a Bonfire for Buchanan’s victory.” The course pursued by Buchanan’s administration did not meet his approval; Robert Zapp changed his party affiliations and became an ardent republican. During the Civil War he was a strong Union man. He was elected governor and Davis intended to resist him in assuming charge of this office, when partisan feeling ran so high that bloodshed seemed to be unavoidable, he was one of the republican leaders who counseled moderation and agreement to the verdict of the people as given at the last election. His influence in his party and the confidence they placed in the soundness of his judgment carried so much weight with them that his party approved his counsel, and bloodshed was thereby averted. During Davis’ administration, he also held the office of superintendent of county schools. In 1889 he ran against Miller for Congress on the republican ticket, and, though defeated, he had the consolation of carrying his home county, where he was best known and where his high qualities and principles were most appreciated, by a two-thirds vote. In 1856 he built up his burnt business in La Grange. He stayed there until 1859. In that year he opened a general merchandise business at Long Prairie (the present Waldeck). In 1867 he opened branch stores at Ledbetter and Roundtop. He sold his business in Long Prairie to Matajowski & Aschen and moved that same year to Roundtop. He remained in business till one year before his death. He then sold the same to Alex Y. Rosenberg. He died in 1885 at his home in Roundtop, after a useful life, honored and remembered not only by his friends and neighbors, but also by the people at large. His name until today stands as a byword for sternness of character, unimpeachable honesty and unwavering constancy. His beloved wife followed him in death in 1897. The subject of this sketch is a son of the man whose biography the reader has perused just before. He has proved himself a chip of the old block and worthy in every respect of the reputation established by his father. 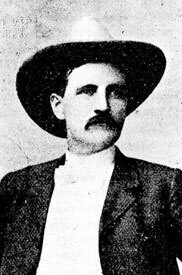 During his terms as sheriff of the county from 1886 to 1894, he has established a reputation for fearlessness and efficiency well known throughout South Texas. By the faithful discharge of his duties in that office he has made a great number of strong friends throughout the county. Brutus L. Zapp was born August 15, 1854, at La Grange. He received only ten months’ schooling in his life, but in later years he acquired a fair education by self-study. After his father had moved to Roundtop (1867), he worked on the latter’s farm staying at his home. His fearlessness and efficiency had already attracted the attention of his fellow citizens, so that they elected him to marshal of Roundtop. 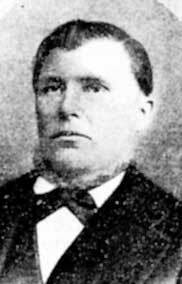 In 1882 he went to La Grange and served as chief deputy sheriff under John T. Rankin up to 1882. In that year he married Miss Mary Wertz of La Grange. The following year he was elected sheriff of the county. In this office he served until 1894 when he declined to run for re-election. He was in the gin business since 1890. He started merchandise business in 1896 in which business he still remains, enjoying implicit confidence of his customers. To the union with his wife were born two children, Violet L. and Robert Lee. Both stay with their father at home. H. L. Kreische was one of the first and best architects who ever came to Fayette County. He was the builder of the third Fayette County Court House, a solid, substantial structure which at the time it was built, was one of the finest court houses in the state. The reader will find a picture of this court house on page 118. There are a great many citizens in the county who preferred this court house to the more elegant new building and who regretted to see this substantial building in which they had gathered in good and evil times, torn down to give place to a new building. The court house built by him in 1855 was demolished in 1890. Prior to 1853 he had built the second Fayette County jail in company with Mr. A. Ammann. They were complimented by the commissioners' court on this work done in a good and workmanlike manner," and this resolution was spread on the minutes of the court. . . . The buildings erected by H. L. Kreische excelled by their solidity and massiveness. The rock building on the Bluff now occupied by his family, and the brewery nearby are specimens of his exquisite workmanship and give fair promise to stand for ages. H. L. Kreische was a perfectly honest man who judged other people by his own standard of honesty. It could not fail that such a man sometimes misplaced his confidence and this embittered the last years of the life of this good man. H. L Kreische was also a public spirited man and bore his full share in advancing and developing Fayette County. Mr. Kreische was born at Goetschen, Saxony, and was educated there as an architect. He came to Texas in 1840. In 1855 he was married to Miss Josepha Appelt who had come to this country with her brother Franz Appelt in 1853. H. L. Kreische died in 1882. His widow and six children, three sons and three daughters, are surviving him. They are the owners of the Bluff, the most beautiful spot in Fayette County. The genial disposition, the big-heartedness and the irreproachable honesty of L. Schlottmann are well remembered by the people of Schulenburg. He was a man who had seen much of life, who had met with reverses as every man has, and finally reached a secure port in the position of bookkeeper for the oil mill and lumber business of Chris. Baumgarten, Sr. This position he filled ably, faithfully and honestly for a period of twenty years, leaving to his children as the best inheritance a good name. Louis Schlottman was born on January 13, 1837 at Hamburg, Germany. In 1853 he came with his father, Dr. Adolphe Schlottman, a very highly educated gentleman, from Germany to the United States, and first settled near Roundtop, Texas. Here he farmed for a number of years. At the beginning of the Civil War, his father opened a drugstore at Roundtop and conducted same during the war. Love of adventure and travel and longing to see the world caused Louis to leave home and thus we find him working in Nicaragua on the first railroad built in that country. He also bought some real estate there. But after a time, he became tired of Nicaragua and made several sea voyages, one of which brought him to Liverpool, England. Here he met the wife of his choice, Miss Lucy Marten, became acquainted with her, and was married to her on July 3, 1865 in Liverpool. The same year he returned to Roundtop and assumed the management of his father’s drug business at that place. Later on he was appointed Postmaster at Roundtop. In 1880 he moved with his family to Schulenburg, Texas. Here he worked first as a carpenter, but soon secured a position as bookkeeper for the oil mill and lumber yard of Mr. Chris. 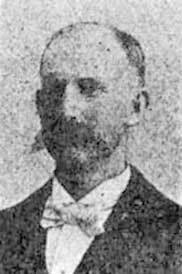 Baumgarten, Sr., which position he held for twenty years to the time of his death on August 30, 1901. He left three children: Louise, wife of Mr. A. W. Beniker in the saloon business at Schulenburg; Bismark, employed at Mr. Chris. Baumgarten’s oil mill at Schulenburg and Wilhelm, a farmer near Schulenburg.